This enclosed space, free from visual distraction, offers the user a chance to step away to focus throughout the busy workday. 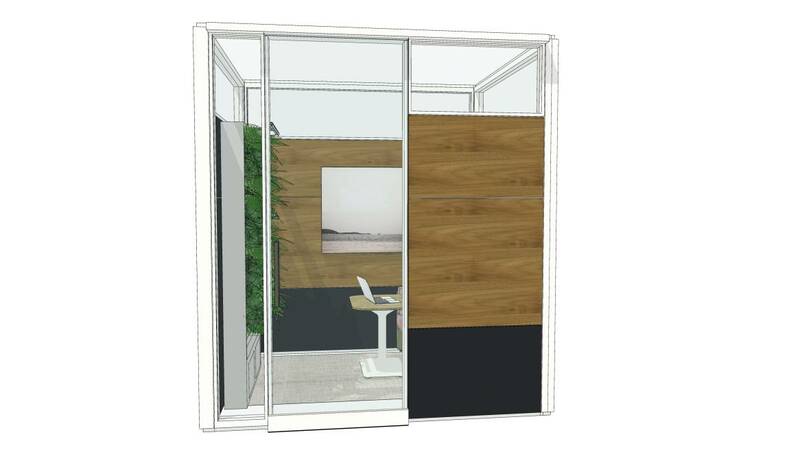 Artwork, plants, and warm lighting help them to recharge and rejuvenate while the large personal workfurace paired with lounge with an articulating back, support the ability to work in a more relaxed posture. Products Lagunitas Lounge Seating, V.I.A.